Sales is often known for being a competitive, high-pressure business where “you’re only as good as last quarter’s numbers” and where sales people are constantly expected to deliver ever-improving results. In this kind of mindset, most people might expect that sales teams are constantly churning through new sales reps – as some people thrive and make their quotas and climb the ladder, while other sales reps struggle to make the cut. But is sales turnover truly healthy and necessary? Or is turnover on sales teams part of a hidden cost that needs to be managed differently? According to a study from the Aberdeen Group, “Sales Performance Management: Getting Everyone on the Same Page,” sales turnover can impose surprisingly big costs on a sales organization – and the best sales organizations aren’t necessarily the ones with the highest or lowest turnover, but the ones who do the best job of managing turnover. Sales teams have more turnover than they want: Under the leadership of Jack Welch, G.E. became famous for its 20-70-10 human resource management – the top 20% of performers were groomed for management, and the bottom 10% of performers were fired or managed out or reassigned. Asked to identify their “ideal turnover rate,” the participants in the Aberdeen Group survey said (page 21) that their ideal turnover would be approximately 9.5% – which is very close to G.E.’s “bottom 10% turnover ideal. However, the “actual turnover rate” identified in the Aberdeen survey was 20.6% – which means that sales organizations are averaging twice as much turnover as they ideally would prefer to have. Replacing sales reps is expensive: According to the Aberdeen study, the average cost of replacing a sales rep was $30,420. This cost comes from a variety of causes, as outlined in the following points. New sales reps are less productive: Only 38% of new sales reps meet their first year quotas, compared with 45% of overall sales reps. Everyone who’s ever gone to work at a new sales job knows that there is a learning curve – it takes awhile to learn your catalog of products or services, learn your accounts, learn the unique methodology and culture of the company you represent, and start to confidently build relationships with prospects. Many organizations use appointment setting to build the pipeline of a new sales rep. Hiring and training new sales reps takes a long time: Companies surveyed by Aberdeen Group reported an average time to hire of 1.7 months, and an average time-to-productivity of 3.6 months, for each new sales rep. Every time one of your existing people leaves your team, unless they were woefully underperforming, it’s going to take some time and effort to find and train a decent replacement. And all of that time equates to sales that aren’t getting made and opportunities that aren’t getting pursued. So if sales turnover is so expensive and damaging to an organization, what can be done? Sales turnover is sometimes hard to avoid – good sales people are constantly in demand and can often write their own ticket to have their choice of new job opportunities. Some degree of sales turnover is inevitable. In fact, the best performing sales organizations from the Aberdeen Group survey don’t necessarily have dramatically lower turnover (as noted on page 22 of the study, top performing firms have an average turnover of 19.3% instead of the overall average of 21.5%), but they have better techniques to manage turnover and lower the costs of onboarding new sales reps. Better onboarding leads to lower turnover costs: Among the top-performing firms in the Aberdeen study, 64% had a formal onboarding process for hiring and training new sales reps, compared to only 48% of the overall firms surveyed. Better onboarding is one of the best tactics to boost productivity among new reps and bring them up to speed faster. It sounds simple, but less than half of all the sales organizations surveyed are doing it. What are some of the hallmarks of a good onboarding program? Consistent procedures, specific benchmarks, clear metrics and constant mentoring from other established sales reps and sales leaders within the organization. 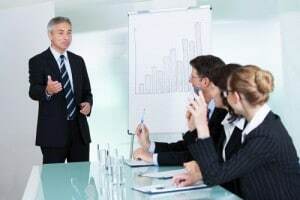 New sales reps need to be trained not just on the products or solutions being sold, but also need to be inculcated with the unique culture and values of the company. Smarter use of CRMs leads to better integration of new reps: How many times have you seen this happen at your sales organization: an outgoing sales rep leaves a bunch of loose ends and unfinished conversations and poorly recorded notes – and no one knows how to decipher the details? Or a new hire spends weeks sitting around with not enough to do, lacking clear direction for how to start talking to the right prospects? The best sales organizations (as identified in the Aberdeen Group survey) do a significantly better job of using their CRM systems to create seamless account transitions. 29% of the Best in Class companies actively incentivize this kind of transition-oriented CRM usage – compared to only 17% of companies overall. Train your team to use the CRM not just as a daily workload manager, but also as a repository and archive for the history, key details and ongoing conversations on each account. Your CRM system can help minimize the costs of sales rep turnover, by giving your team a clear roadmap for effective transitions and speedier onboarding. Turnover among the sales team is inevitable – even the best performing sales organizations are still seeing an average annual turnover of approx.. 20% of their sales reps – but the best performing sales organizations know how to manage and minimize the costs of turnover. If your organization can do a better job of bringing new hires up to speed, integrating their accounts via CRM systems, and generally converting “new sales reps” to “seasoned sales reps” faster than the competition, you will be on your way to lower turnover costs and higher productivity.